Lots of Tasty & Hygenic Quick bites – Very Good for a short food refill but none of these r the ‘best in Town’. Street food & Hygeine are no more oxymorons as Go Chhatz serves tasty North Indian Street food. However, must mention that none of the food in the menu wud qualify for ‘best in town’ but they r surely good on their own. Papri poppers , Dahi gappas, Papri chaat, gol gappas, papri chaat, samosa cocktail are some of the show stoppers here. I found Desi nachos to be outstandingly chatpata. Kalakhatta breezer for a drink is super col too. On the way back from Office, we stopped by at Galleria & snacked up at Go Chhatz. 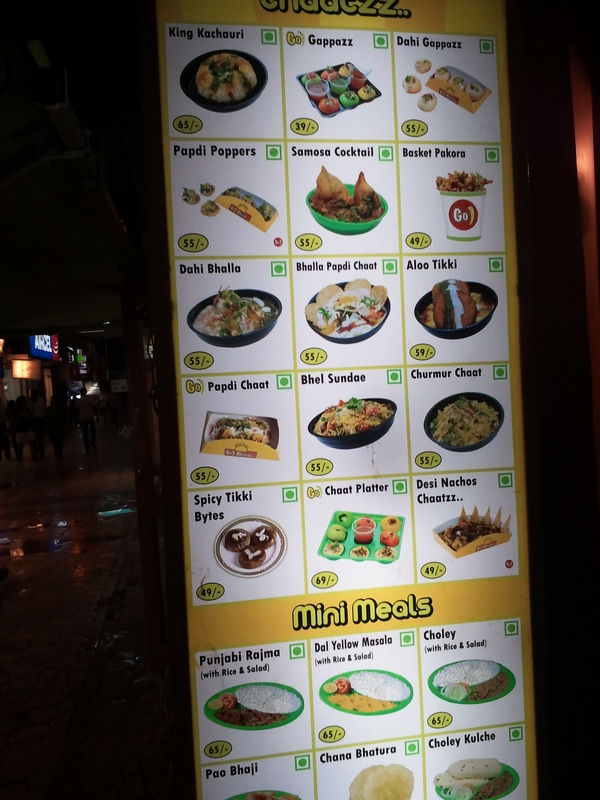 No comparison with the phenomenal chaats of Chandni Chowk Delhi but some of the items are pretty good here. However, these surely look to be more hygienic than the ones in Chandni Chowk. The one that we invariably have every time we land here are papri poppers. These are tart base kind of laccha bowls in which the chaat ingredients are poured in. The whole thing just needs to be popped in. 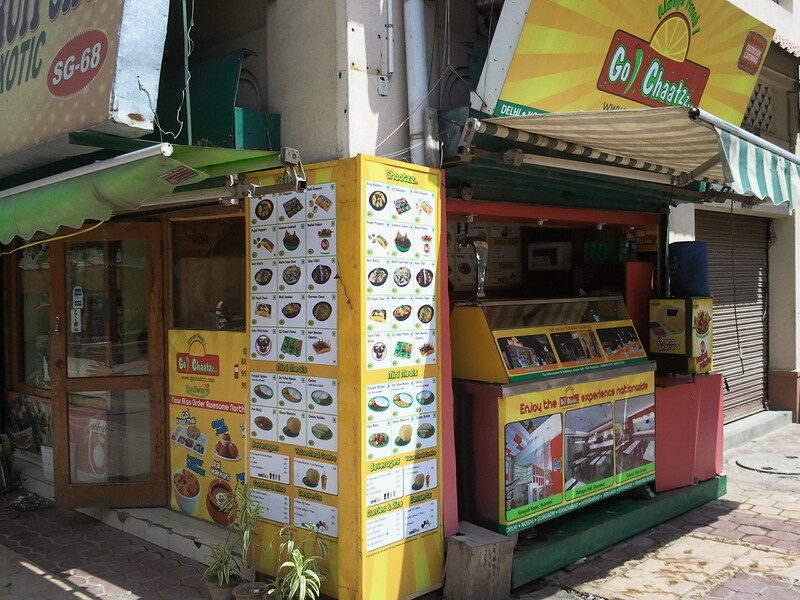 Papri chaat, dahi gappas, gol gappas, papri chaat, samosa cocktail etc are also available & r good. A new thing that we tried last week was super cool – desi nachos chatz. For the Mexicans, they would faint after eating the nachos as they r far from what a nacho is. These ‘nachos’ are triangular, nacho shaped nimkis (something similar to the outer layer of a khasta kachori). However, inspite of a questionable parentage, the nachos with the desi toppings r superb in taste. ! A soft drink called kala khatta breezer is another item number in this place. This is also available in a chuski form. Yes, I guess for that there is hardly any alternative to Chandni Chowk Dilli, Will cover that very soon. Thanks for suggesting.